Truckee Meadows Water Authority (TMWA) has just received the “Directors Award of Recognition” from the Partnership for Safe Water (Partnership). With this award, TMWA’s Chalk Bluff Water Treatment Plant ranks among the highest performing water treatment plants in the country, producing high quality water for more than 330,000 residents in the Reno-Sparks area. “We are honored to receive this award,” said Mark Foree, TMWA General Manager. “Our goal is to continuously strive to improve our water quality, and by joining the ranks as one of the highest performing plants in the country, we have taken a large step toward achieving this goal. Special recognition must go to Paul Miller, our Manager of Water Quality and Operations, as well as the entire water quality and operations team, for their hard work and commitment to water quality excellence,” Foree added. TMWA received the award for successfully completing a rigorous Self-Assessment and Peer Review process that was developed by national experts and includes thorough assessment of factors that may limit treatment plant performance. There are approximately 11,500 surface water treatment plants in the United States. TMWA’s Chalk Bluff plant now ranks among only five percent of total plants that have successfully gone through the assessment program and received the Partnership Award. The assessment process takes approximately 18 months to complete. The Partnership’s national volunteer initiative was developed by the United States Environmental Protection Agency (EPA) and other national water organizations representing water utilities that strive to provide their communities with drinking water quality that surpasses the required federal standards. Each utility, including TMWA, has voluntarily committed to the enhancement of drinking water quality and operational excellence in water treatment. As members of the Partnership, utilities make a pledge to their communities to improve their treatment operation and reduce the risk of exposure to microbial contaminants, namely Cryptosporidium, a parasite that can cause illness. By making this commitment, the member utilities’ treatment practices undergo a rigorous review developed by national experts. 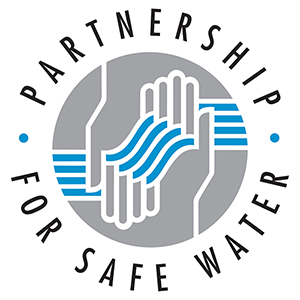 The Partnership for Safe Water is sponsored by the American Water Works Association, Association of Metropolitan Water Agencies, Association of State Drinking Water Administrators, United States Environmental Protection Agency, National Association of Water Companies, and the Water Research Foundation.